I AM shown a trigger point tomorrow, December 27, for this Gateway. We had a double rainbow in Mount Shasta on Christmas, which lasted for over three hours! 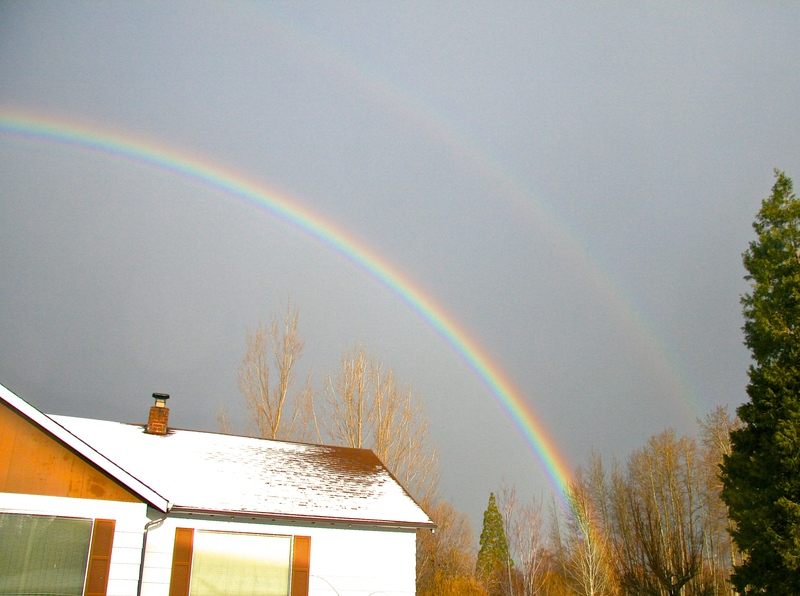 Double Rainbows showed up all over the World on Christmas, and I always hold them as a reflection of our Divine work. This Christmas gateway is especially powerful as the Wayshowers prepare to embody purer, higher levels of the Christ/Kryst throughout 2015. Goodness, it feels immense to me, right NOW. Every day, each moment feels like the first and the last moment of my journeys here. I AM sure some of you will resonate with that complete-transformation-Now sensation. Sensations of the-moment-of, where it used to feel like the-moment-before. Our Gateway of December 25 – 29, brings a more intense experience of Divine Love and a Golden Race DNA *drop* from the merging with the Crystalline Grid of new Earth. These drops continue through 2015. This delivers the codes which were anchored into the Crystalline grid on the 12-12-12. This is why we had a merging of the grid systems, to make those Golden Race codes available to all of HUmanity. If you were one of the code-catchers on the 12-12-12, you understand how powerful those light sequences are. Unified or Collective DNA is a magnificent multidimensional geometry which holds unity consciousness up to 12D. As a Divine HUman in-carnate, we will eventually be capable of holding a 12 strand helix DNA structure within a 5D/6D form. Each strand will reconnect to a Divine aspect within a dimensional level. At that point, it is not *your DNA* and *My DNA*, it is *our Unified DNA*. It is not something that a 3D microscope will ever be able to examine. Only the effect on the physical body can be measured right now, in the multitude of Ascension side-effects. Happy Holidays, Beloved Light Tribe! It is an honor to walk this path with you. REMINDER: Last days for the half-price deal on the Ascension Path online course. Get the discount in the SHOP.